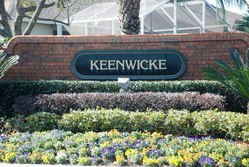 Keenwicke is a neighborhood within the prestigious guard-gated community of Heathrow in Lake Mary Florida. From the north gate of Heathrow off Orange Boulevard and 46A, the entrance to Keenwicke would be at the first stop sign and to the left, just across from Reserve At Heathrow. The neighborhood is actually made up of Keenwicke Cove & Keenwicke Point but are collectively known and treated in Heathrow simply as Keenwicke. It is part of The Heathrow Lakes Association and is the largest individual neighborhood in Heathrow with 243 homes. Keenwicke was originally developed by Morrison Homes (now Taylor Morrison). 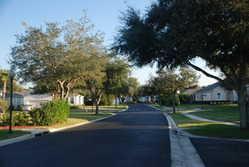 The homes here are three and four bedroom tract homes with two car garages. Some homes back to conservation areas and some back up to the ball field portion of Sawyer Lake Park. Sizes range from 1,800 sq feet to 2,600 sq feet under air and sell from the mid-upper $200,000s to the upper $300,000s.